I have a weird confession: each time I hear the name “Prague,” the first thing that pops into my head is the sound of broken glass. I blame my background in history. In 1618, the tension between Catholics and the new Protestants who had emerged from the Reformation was at peak level in Bohemia. The Holy Roman Empire, of which the area of what we now call Czechia was part, stretched over much of modern-day Europe. Within the empire, however, various small principalities and duchies had broken away from Catholicism to embrace the various new sects of Protestantism. When the Holy Roman Emperor attempted to assert that all of the territories under his rule must be Catholic, he met opposition. In Prague, his two representatives were thrown from a high window. This act, the “Defenestration of Prague” is regarded as having begun the Thirty Years War, which lasted from 1618 until 1648, killed between twenty and fifty percent of the entire population of the lands where it was fought. While the conflict had been brewing for a long time, it was the act with the window that set it off. Prague may be the most beautiful city in Europe, although there are plenty of other towns that want to claim this mantle. 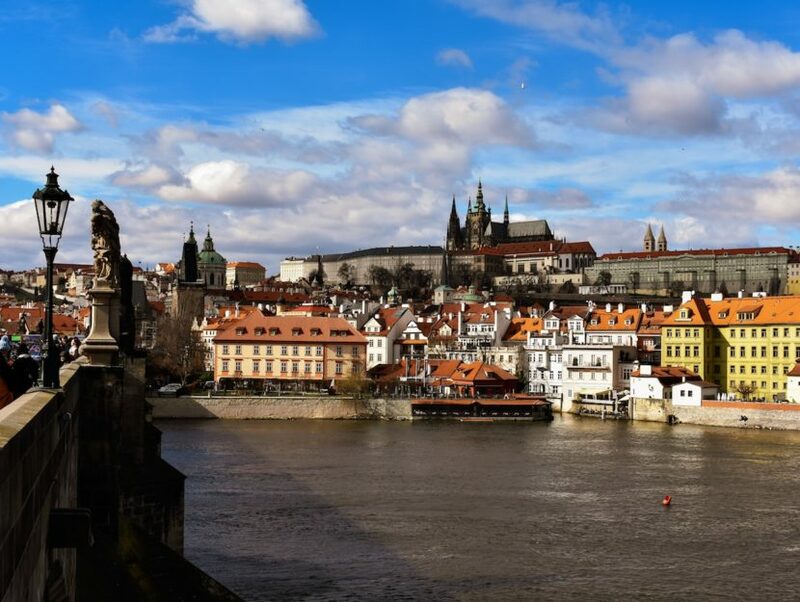 Unlike Rome, London, or Paris, however, Prague was hidden away from Western travelers for decades because of the Cold War. Prior to the Soviet occupation, Prague suffered for years under Nazi rule. The year 1989 changed everything. If you’re curious about Prague’s history, or why it is so beautiful, or why it has attracted so many young travelers, Read It Forward has pulled together a number of books that offer answers. After reading any of these books, don’t be surprised if visiting Prague goes to the top of your bucket list. Luckily, multiple airlines offer regular service to Prague. Prague in 1968 was full of hope. Czechoslovakia had a new, reformist leader and people anticipated greater freedoms as a result. Soviet leaders in Moscow worried that they would lose control behind the Iron Curtain, and during the summer, the world watched as Soviet tanks poured into Prague’s streets. In Simon Mawer’s novel, two Oxford students travel to Prague while on a summer tour of the continent and become embroiled in historic events. Mawer adds layers to the novel by including characters who have much larger stakes in Prague’s future and turns a classic summer romance novel into a nuanced discussion of a history-changing year. Elliott leaves Indiana, eager to see more of the world. He lands in Prague where he finds a job teaching English and meets Amanda, a young woman from England who also teaches English. It is 1998, the Iron Curtain has been drawn back, and life is good for the young people who flock to Prague. But the city’s history stretches back over a thousand years, and the arrival of a few foreigners is unlikely to change its stone-like customs and ways of being. Instead, Elliott and Amanda discover that the city is changing them. How much should they be paying attention to the ways in which they are being molded? Kimberling challenges readers to think about the impact of tourism on ancient ways. Nazi occupation of Prague transformed the city. But from 1945 until 1989, when Czechoslovakia stopped being a Soviet satellite state, and especially after 1968, when the Soviets re-invaded Prague to enforce their power, the West had little influence. In Goldberg’s book, she explores the changes in Prague in the decade between 1993 and 2003, when large numbers of Western Europeans and Americans came to the city. For those who would like to visit Prague, Goldberg offers an insider knowledge of those parts of the old city that still exist side-by-side with the modern transformations. Readers contemplating a journey to Prague should definitely consult Goldberg’s book. She writes of the city in the style of a literary novelist while providing readers with the types of information about a city that can only be known by those who have lived there for a long time. And her descriptions of the glorious Vyšehrad Cemetery may be just the detail that convinces you to book the trip. The nights of November 11–12, 1938—Kristallnacht—was more than the breaking of windows. In addition to the destruction of thousands of Jewish-owned businesses, synagogues, homes, and schools, dozens of Jewish Germans and Austrians, and Czechs were murdered during these nights while thousands were sent to concentration camps. The British government implemented the Kinderstransport as a result, an effort to bring as many Jewish children in those territories to Britain on a temporary basis, a way to keep them safe while the Nazis remained in power. But in Austerlitz, Sebald constructs a complex narrative detailing the life of Jacques Austerlitz, who doesn’t discover until he is an adult that he had been a young boy when he was brought from Prague. Sebald focuses on memory and how our brains create stories to fill in uncomfortable blanks. Some of the most powerful prose recreates the experience of searching for a community eradicated by the war. Prague’s reputation as a cultural capital has drawn travelers to it for centuries. Case in point: Wolfgang Amadeus Mozart and his wife, Konstanze, endured long hours shut up in a horse-drawn carriage over fraught roads in order to witness the first staging of Don Giovanni before a Bohemian audience. Upon their arrival, the young couple is swept up into the social season. They are fêted by members of the royal family and assorted nobility. Rich with opulent details of the eighteenth-century party scene, and full of the comedy of young love, Morike’s novel provides baroque entertainment. The late Philip Kerr left readers with fourteen novels set in the mid-part of the 20th century and featuring Bernie Gunther, the Berlin homicide detective. In addition to the work of tracking down criminals, Gunther’s job is made much more complex by the fact that the Nazis have come to power and want to use the police force to enforce their murderous political agenda. In Prague Fatale, Gunther has been ordered to investigate allegations that Czech resisters are planning to assassinate Gunther’s boss, Reinhard Heydrich, whom Gunther hates. When Gunther ends up at a weekend retreat with both Heydrich and the would-be assassin, readers are treated to a nail-biting noir novel and a moral quandary about what it means to enforce the rule of law. Ivan Klima spent three years of his childhood behind the walls of a concentration camp. He survived World War II only to trade Nazi occupiers for Soviet control. Censors refused to publish this 1986 work, but after the Velvet Revolution of 1989, Klima’s works were no longer banned. The writer-protagonist at the heart of Love and Garbage now uses the time he would have spent writing his banned works working as a street-sweeper in Prague. Each day, as he cleans up other folks’ garbage, he becomes aware that nearly everything that people claim to treasure ends up as garbage. Is there anything permanent that we may love? Klima offers readers surprising answers. It is difficult to capture what a stunning year 1989 was. After decades of Cold War tensions and the locking away of half the European continent behind the Iron Curtain, 1989 changed everything. The peoples of Poland, Hungary, East Germany, and Czechoslovakia each demanded a new system and each broke away from the old Soviet Union with little violence. Timothy Garton Ash was present at the Magic Lantern, a theatre where the opposition party—led by playwright Václav Havel—had its headquarters. In his book, Garton Ash details their activities. What many remember about the Czech Revolution was the prankster element of it, of Havel as the merry leader of a band of happy revolutionaries who laughed their way to a new world. Dana Pierson is training to be a journalist in 1989. When the Berlin Wall falls, she heads to Eastern Europe to see areas that had been closed to Western travelers for decades. Pierson immerses herself in the ongoing revolution and forms close friendships. Even after she returns home, she remembers her days in Prague with affection. When an opportunity to return to the city twenty years later arises, Pierson jumps at it. But almost as soon as she arrives, events are set in motion that will pull her into a dark side of Prague previously unknown to her. Here, she meets a priest and an investigator who work as her allies in investigating a mystery that threatens to destroy more than any of them can bear. The myth of “resistance” is that the person who resists does so in every one of their actions in order to not cooperate with an immoral state. But for those who have lived through decades of a system in which the state controlled access to everything—jobs, education, housing—is it a form of complicity to take advantage of a free education? Or to accept a job? Klima offers readers the particular case of a low-level judge who clings to his independence. The types of cases he hears have nothing to do with the state enforcing its political agenda. But when a particular case comes before him, one that does have political ramifications, the judge is forced to confront his previous actions. And he also discovers that his personal life is not the haven he has long considered it to be. Salka Viertel is another remarkable woman who might have been lost to history if she had not written this autobiography of her remarkable life. She was born in 1889 in the Austro-Hungarian Empire, which ceased to exist after World War I, and students looking for personal accounts of European history will find her story a veritable gold mine. The intellectual circle she was a part of includes some of the most famous names in art and philosophy. But the years after World War I brought tremendous hardship in Viertel’s life, and she never shies away from providing details. After living in Prague and other European cities, Viertel moved to Los Angeles in the 1930s and became part of Hollywood during its most glamorous era. Her observations of the lives of Hollywood actors are sure to entertain movie fans. It’s difficult to sum up just how remarkable Viertel’s life was. Josef Skvorecky was born in Czechoslovakia in 1924. He survived the dreadful years of Nazi occupation only to struggle under the Soviets. In 1968, when the people of Prague made their first attempt at taking back their government, he escaped to Canada, where he continued to write. The Bass Saxophone is actually two novellas. The eponymous novella is about a young student of jazz who joins a German band for a chance to play music while his country is under Nazi rule. Emoke is the second work. It takes place during the Soviet years, and once again, takes up the role of jazz as a weapon of resistance. What complicates Emoke is the introduction of the powers of love and desire and their role in resistance. One of the remarkable elements of this novel is that the entire story is told in a single sentence. The raconteur who tells his life story takes readers on a series of fantastical adventures full of vigor. He recounts the lives of those who haunt Prague’s pubs and those who till Czech soil, and just as he finishes with one tale, he begins another to draw back the attention of his audience. Hrabal called this type of dialogue by his characters “palavering,” and while those who palaver are often ignored in cultures where time is money, the opportunity to listen to the stories told here will keep readers riveted and unable to break away for fear of missing the next great thing to be said. Prague appears to have been the inspiration for the fictional city at the center of Rose’s novel. It’s the city where his unnamed author has flown after being invited to give talks at its prestigious university. But when he arrives, the professor who has invited him is nowhere to be found. This comic novel pokes fun at academia, but some of its best moments tease those who take literature a little too seriously. For anyone who has ever survived graduate school or thought about becoming a professor, Rose’s delight in “taking the piss” out of the academic system may provoke the knowing eye-roll or painful chuckle. 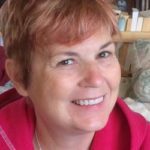 Lorraine Berry writes about books at a variety of outlets including the Washington Post, Catapult, and The Guardian. Her current obsessions include watching British game shows and panel shows, supporting Manchester City F.C., and turning her multiple TBR piles into architectural wonders. She tweets @BerryFLW.